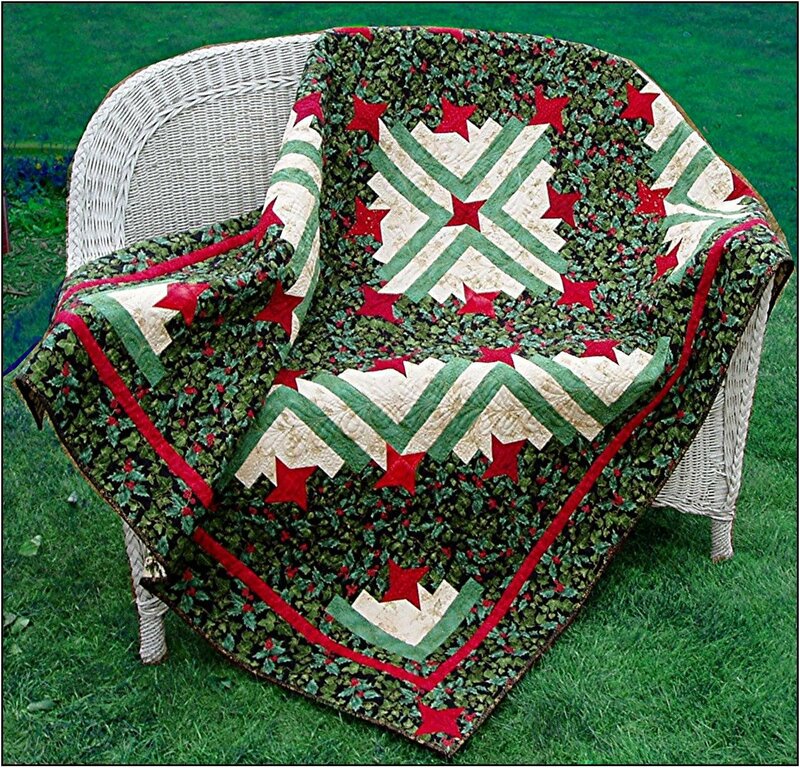 Lap/Twin size: 61" X 85"
This friendship log cabin quilt is basically the same as Grace's Friendship Log Cabin quilt pattern, except this pattern has wider strips. (Cut 2" - finished 1 1/2" wide strips) It also has a unique placement of your colored fabrics. Looks great in Christmas colors, but I'm sure you could imagine it in spring colors also!